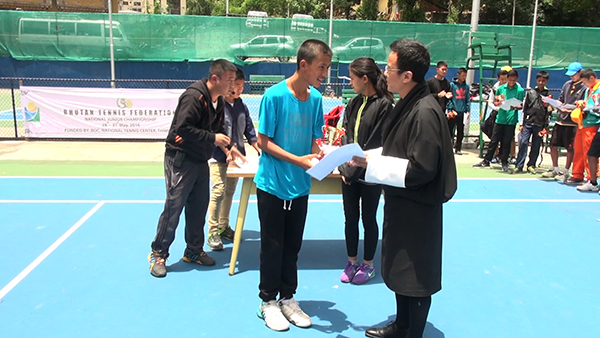 A 14-year-old defending tennis champion, Tenzin Singye Dorji won the National Junior Championship held in Thimphu, today. He was playing against Raj Rishi Khawas from Siliguri in the West Bengal State of India. “I have won a few titles in the country. But now, I would like to work hard and win titles outside the country, said the winner, who is a student of Changangkha Middle Secondary School. This is Tenzin Singye Dorji’s fifth national title. Cash prizes, trophies, and certificates were awarded to the winners. Bhutan Tennis Federation organised the event.